It’s the second month of the color challenge Focus Through the Prism. 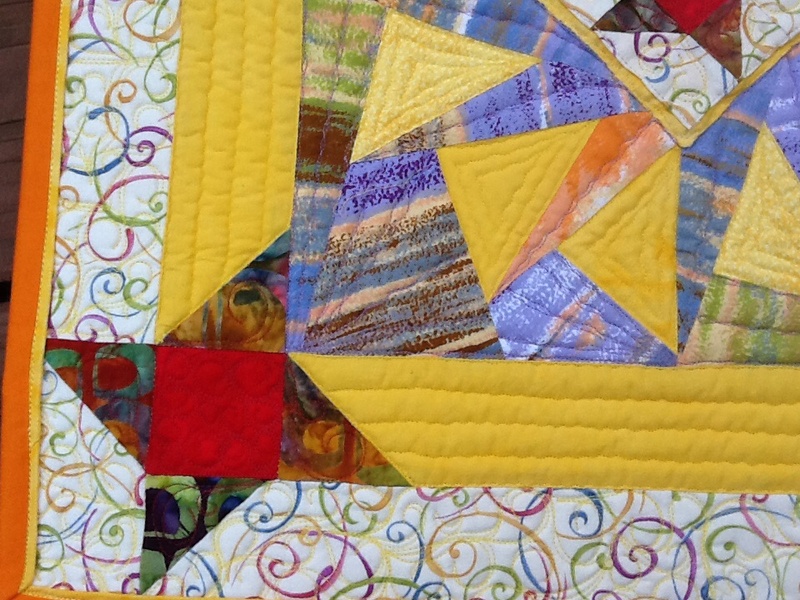 The block is Friendship Star and I picked the yellow Cherrywood fabric. 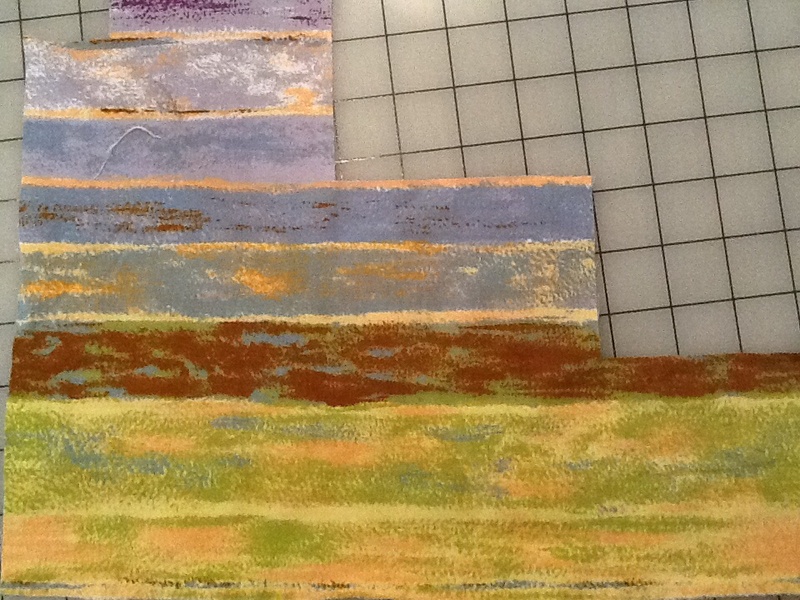 There was another panel in my stash that was asking to be cut up, so I complied and made it the background. There isn’t a before picture, but here is what was remaining . 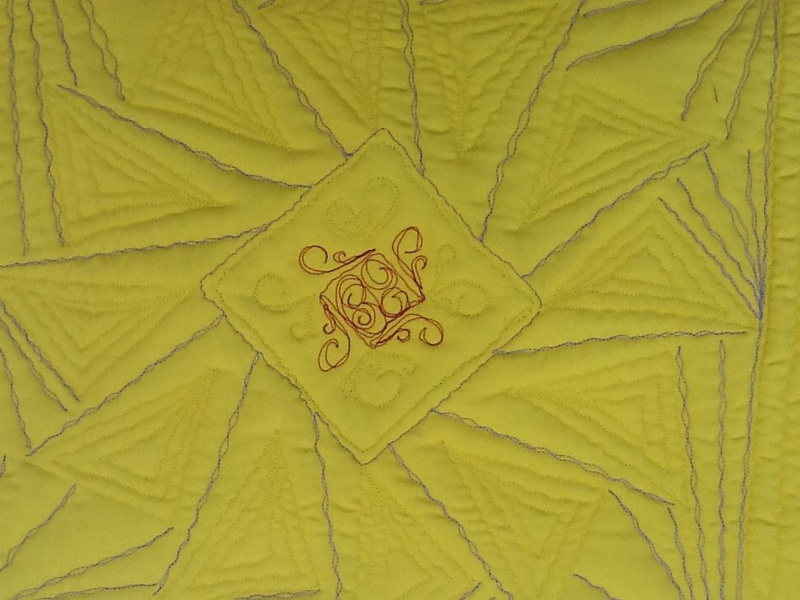 I also used some hand dyed vintage yellow fabrics from Debby Henning at Zebra Arts. 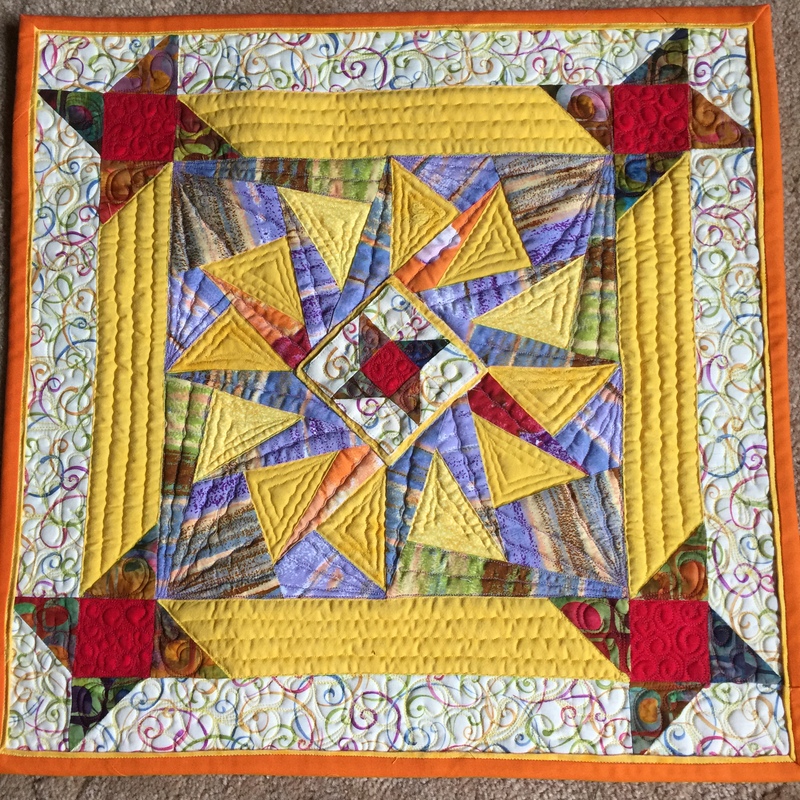 I sent my quilt off to Marcia Wachuta and it returned really fast looking AMAZING!! I really like what she did with the stitching. It’s hard to tell in the pictures, but she made the center physically pop out of the quilt surface. I’m a convert and will be sending many more quilts her way. 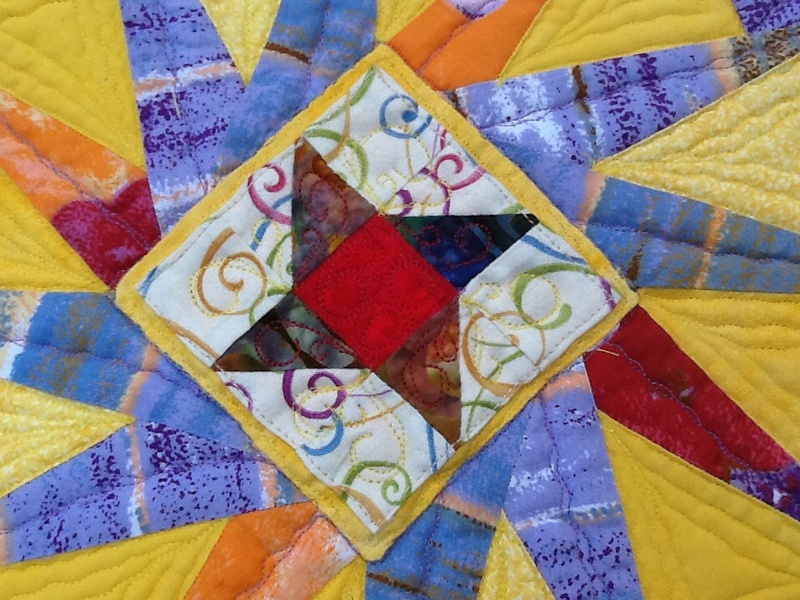 The idea behind the quilt design stemmed from the Friendship Star and thoughts of my friends: different circles, some closer, some more distant, all unique, all colorful, always dynamic. 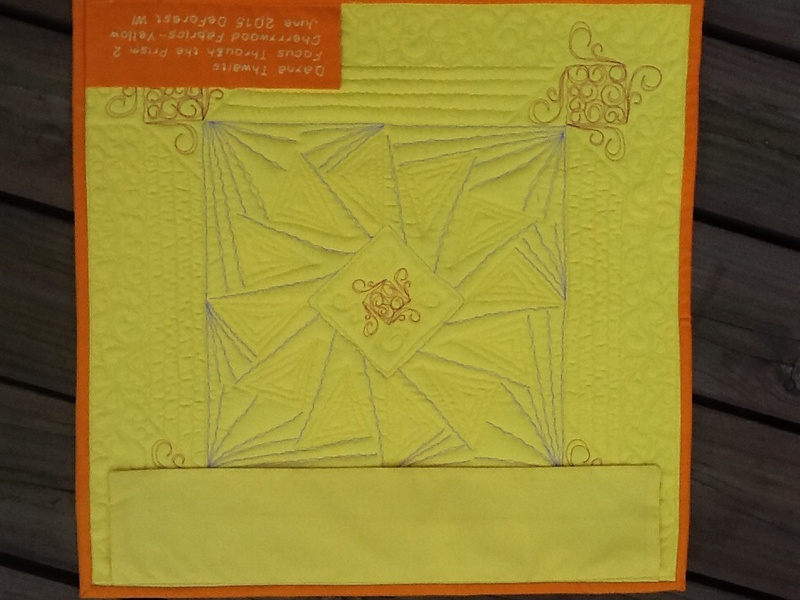 After adding a yellow and orange Suzy’s Magic Binding, this month’s project is complete!